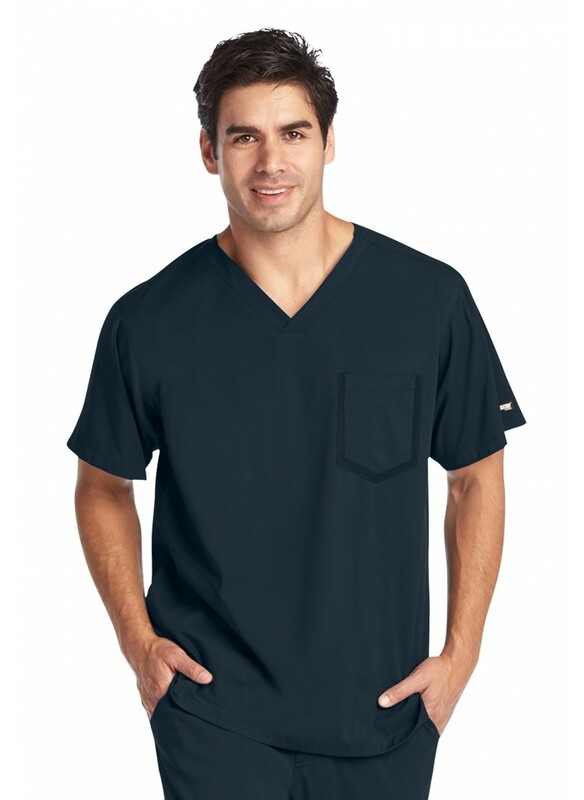 If you're searching for a well-tailored men's designer scrub top from Grey's Anatomy, the Impact Ascend 0118 Scrub Shirt is the the result you want. This top was designed by expert scrub stylists at Grey's Anatomy, and is well-tailored, and boasts a smart masculine fit. It provides the wearer with the features and comfortable feel that is necessary to accomplish tasks as competently as possible, and at the optimum pace. 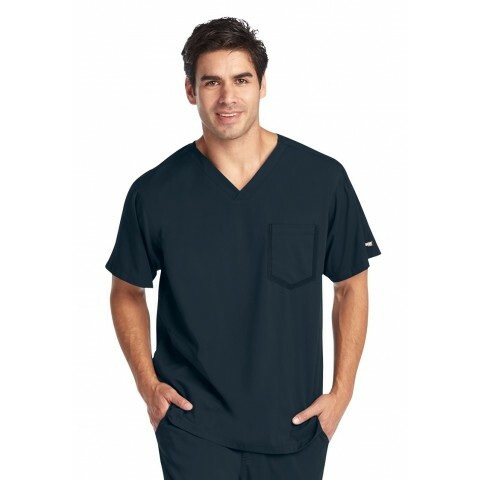 This nursing scrub top doesn't only have a classic chest pocket; it also has two other pockets, as well, to offer you more space to store medical instruments than most other scrub tops. Do you believe that scrub tops should be practical, comfortable, high quality, and professional looking? That's a tall order, but not to worry - this Grey's Anatomy by Barco piece is sure to meet your standards. Pair this with the 0219 for to the complete look.